We believe that a well ordered focused atmosphere is the best environment for effective learning. We work on the basis that we all exhibit mutual respect and exercise self discipline. We start from the positive with an emphasis on reward rather than sanctions. We regard this as being ‘The Wilmslow Way’. Certificates and prizes are awarded for full attendance at the end of each term. Students who achieve full attendance for the whole year are given further recognition. Students are given indicator grades during the autumn, spring and summer terms. Grades are awarded for effort and attainment. Students with excellent effort grades receive congratulatory letters from curriculum teams and Heads of House. Letters are also sent to parents. These are recorded and used as the criteria for rewarding students at the end of the year. 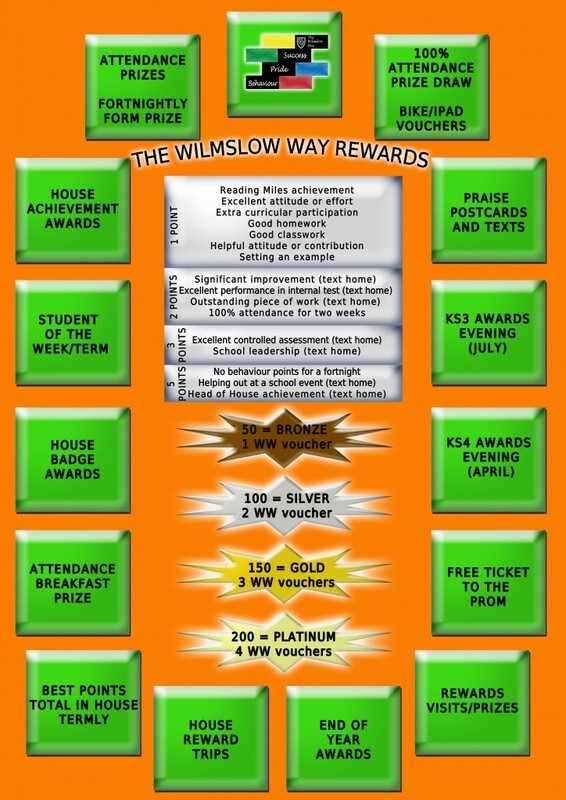 Students are awarded points within ‘The Wilmslow Way’ which result in various rewards. 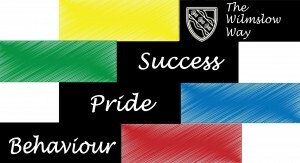 Students may lose points if their behaviour does not meet the expectations and standards we have at Wilmslow High School. Presentation Evenings are held for students in the spring and summer terms. 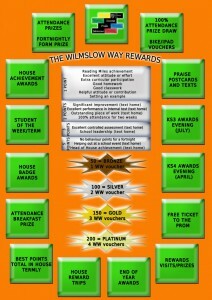 Rewards for achievement and effort are given for each curriculum area, plus recognition of achievements in music and sport. Houses award a ‘Student of the Term’ award at the end of each term. An award is given to a boy and a girl. A Head boy and girl and Deputy Head boys and girls are elected each year in the Sixth Form. Certificates are given for participation in Inter-House activities. Each curriculum area has its own rewards systems. 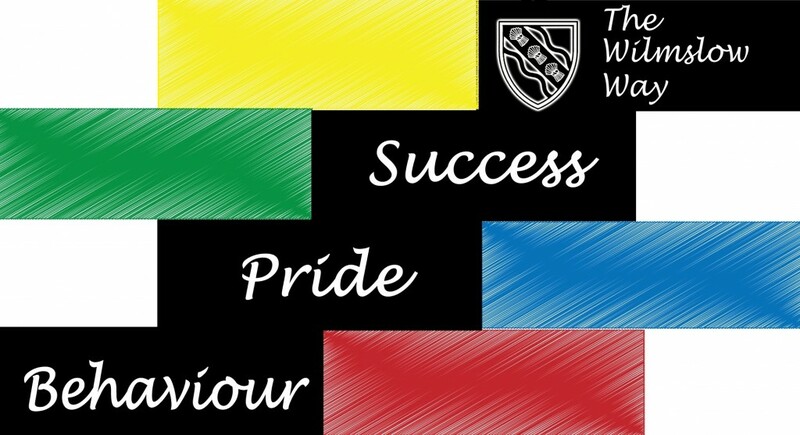 The following achievement points are given to students dependent the level of success demonstrated. The school will also send text messages to parents regarding the child’s achievements. Below is a template of the types of text received.